Posted December 20, 2009 by Emmet Farrell in Sport. The Club Executive committee held its AGM in the Claregalway Hotel on Monday 14th December 2009 with a large number of Club Officers and Members present. To begin the meeting, Joe O Connell, outgoing Club Secretary gave a comprehensive report of Club activities for 2009 and acknowledgement was made to the many great achievements by the various squads in the Club. The report also acknowledged the enormous contributions given by a large number of volunteers and the co-operation of the various officers throughout the year. The report continued in paying tribute to the success of the many successful events held throughout the year including the Club Annual Social which was organised by the Ladies Committee, Lá Na gClub and more recently the Gala Weekend. The Juvenile Club were congratulated in their tremendous achievement of winning Juvenile Club of the Year. This was followed by the Treasurers Report by Club Treasurer, Tony Stephens. During his presentation, which included a summary of all Club income and expenditure, Tony placed special emphasis on the new training grounds in Knockdoemore and the financial updates on same. Tony thanked the members who have signed up to pledge a regular donation to the development over the last year and said how this was greatly appreciated by the Club and most importantly allowed the Club to maintain loan repayments to date. These regular contributions also enabled the Committee to concentrate on planning issues and grant applications which are ongoing. 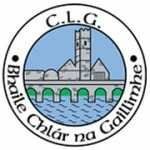 The good news is that full planning permission is secured both for the development of the new grounds and the erection of lights in our existing grounds in Claregalway. Part of the overall plan includes the upgrade of existing facilities in Claregalway which the committee are very keen to progress. In conclusion, Tony outlined that all of these exciting plans are subject to ongoing membership support both financially and in many other ways. It is the Club’s intention to increase the number of members who are currently pledging support and to make it more accessible by offering more options in the coming year. It is hoped to post regular updates in relation to the development on the Website and all contributors will receive a certificate of payment early in the New Year which they will forward to their tax inspector in order for the club to recoup the tax rebate. Tony Clarke began his Chairman’s Address by commenting on the remarkable growth of Claregalway GAA Club over a short period of time both in terms of numbers and the incredible achievements in the Club at all levels. He emphasised the need to maintain the Clubs high standards, acknowledged the work of the newly formed coaching committee and is looking forward to them finalising our Club’s coaching manual. He thanked the members for their dedication and work behind the scenes. A particular thanks was given to Jimmy Moran who was responsible for the registration of close to 650 members in 2009. With membership numbers expected to increase in 2010, Tony outlined the benefits that the new training grounds and upgrade of existing facilities would give to its members on completion. He thanked Galway Football Board for the use of their grounds in Loughgeorge, also Carnmore and Turloughmore Hurling Clubs for making their pitches available when requested. He thanked all sponsors whose ongoing support is vital to the Clubs success. These include The Claregalway Hotel, Hughes SuperValu, Claregalway, Glynns Fruit & Veg and O Connell Tractors. Finishing his report, Tony outlined the need to set up dedicated committees for fundraising & Development. This proposal was broadly welcomed by all members and John Morrin and Peadar Dolan agreed to take fundraising to the next level with a follow up workshop to be arranged in the coming weeks and Jarlath Brennan and Francis Moran added their names to the Development Committee. To finish up a very productive AGM, Alan Moran gave an update on the Coaching committee. He outlined the various steps in producing a Coaching Manual using directives from GAA Coaching Standards. The aim is to develop the Clubs success particularly at Minor and Senior Level while maintaining a high standard of coaching. Another function of the Coaching committee is to encourage integration between the senior players with other teams in the Club particularly at junior level and stressed its importance in motivating players to continue playing Football. 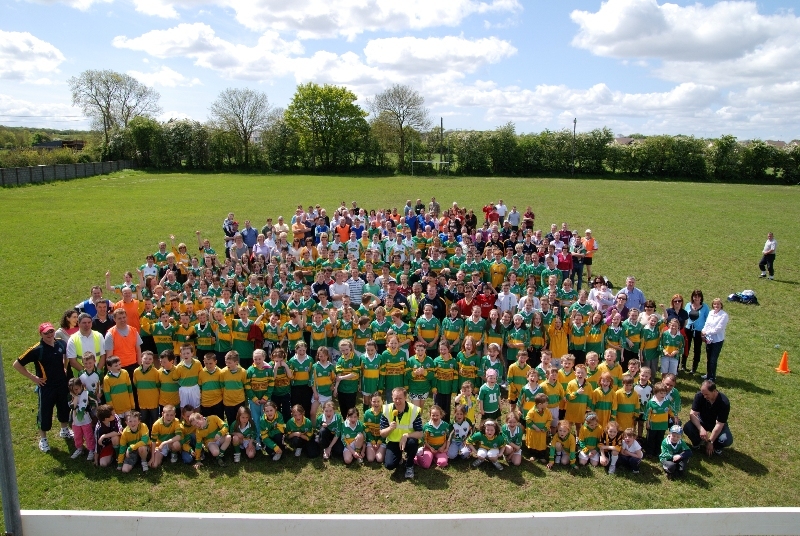 The main function of the committee is to ensure that each player receives excellent coaching to develop their core skills and the ongoing development and retention of footballers in the Club from U8 right up to Senior level. 2010 promises to be a very exciting year for Claregalway GAA Club and we look forward to progressing the many initiatives that are now in place and thank all of our members for their ongoing support.